Virtual Pool is famous for its unmatched physics that give you the ultimate playing experiences. Pool balls move and react just like on a real pool table. You can shoot straight shots or add English on the cue ball to create spin. You can even make complex shots, like Masse or Jump shots. You can't find a better pool simulation on the market. 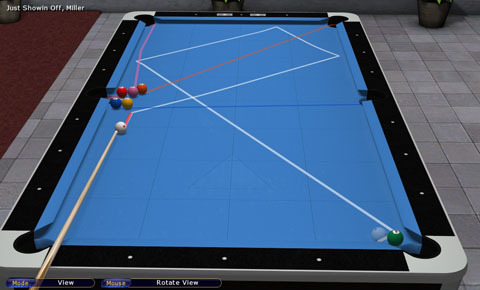 Virtual Pool 4 has completely rewritten physics that are so real it is just like playing pool on a real pool table. Virtual Pool 4 Virtual Pool 4 uses eye-popping graphics and an advanced physics simulation to create the most realistic simulation pool game ever. Any shot, spin, jump shot or trick-shot that can be performed on a real pool table can also be performed on VP4 with true to life results. Enjoy thousands of hours of play-time competing head to head with friends or against the computer. Play up to 17, adrenalin packed pool games on customizable tables and equipment using your favorite cue from the 'cue shop'. 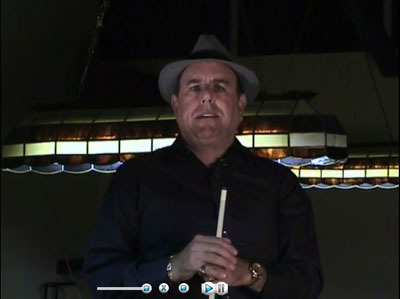 Improve your skills with Steve Daking's video lessons and virtual practice scenarios or even use the training aids during practice. ' Become a trick-shot artist with pre-selected shots or new shots, which you can invent. VP4 is the closest thing to real life play that will actually improve your real pool game. If and when you think you are ready, VP4 also features two Career Modes of play. 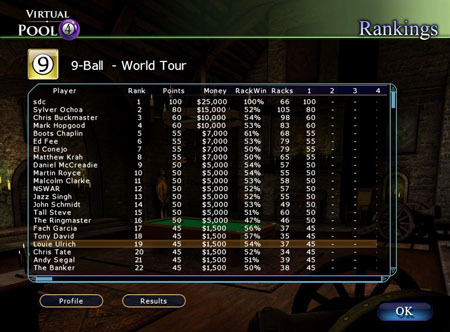 Go on a 'pro-tour' to compete with real professional pool players or travel the road and gamble as a 'hustler' for rankings and achievements. Record your matches or shots and watch the later from any angle of view. Share pics and recordings of your favorite moments, shots and matches with friends or on Facebook. Since pool is such a great sport, we decided to make Virtual Pool 4 just like playing real pool. Virtual Pool 4 has something for everyone. Play your favorite game on exact models of real life tables! Got what it takes to be a top pro player? Discover where you fit in on a pro tour when you compete against real Pro Players and Top Amateurs from all over the world. Pro Tour Career Mode starts you out on the Local Tour, unless you think your good enough to try qualifying for a harder tour. There are four tours in all, Local, Regional, National, and International. When you join a tour you play for a season, playing in tournament events for cash and ranking points. Earn enough points on tour to move up to the next tour, but a poor finish means relegation to a lower tour. Earn tour achievements too, over 50 achievements to earn, on each tour! It's time to hit the road and make a living with 'Curly' the ultimate road player, who will guide you to new destinations for action. Each room that you visit has completely different playing table and Room Boss who you have to beat in order to earn enough cash to travel to the next room. Starting out as a rookie in the Garage you must battle your way through tough action at 6 different pool rooms for the chance to finally beat Curly himself, completing your career in the luxurious Beach House for the big money. On your adventure, you'll be earning cash and achievements where you can visit the Cue Shop to upgrade your gear with jump cues, break cues and custom shafts. Better cues attract more action and more players who, will bet for more money. As you progress in your career the competition gets tougher and tougher and the bets go up. 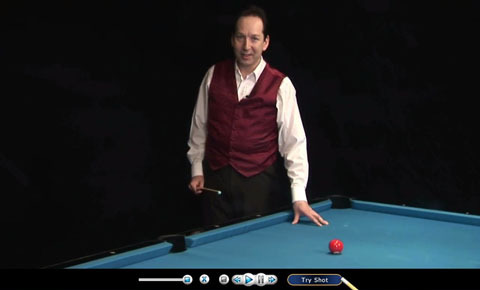 Learn how to play Virtual Pool 4 and real pool at the same time with Video Lessons by Steve Daking. Steve is a Pool professional player, instructor and a trick shot expert. With 24 categories of lessons in all, Steve will take you on a journey through the fundamentals of real pool, demonstrating the principles of Aiming, English, Draw, Follow, Carom Shots, Combinations and more. You can practice and each shot in Virtual Pool 4 exactly the way Steve has set them up so that you can go into competition with confidence. Watch a lesson then try the shots out yourself. It's that simple! We've even provided the training aids like Ball Tracking, which enable you to visualize shots and see the results in advance. With over 70 video lessons you'll be armed with enough knowledge to become a champion. Replay the shots and enjoy them in slow motion if you like. Who say's learning the game can't be fun too? Virtual Pool 4's computer opponents know how to play pool! The better players can really stroke it, but luckily for you, the poor players are not any better than the sucker at your local bar. There are 196 computer opponents of varying skill levels, so you'll always have somebody to play. Play any skill level of computer opponent, from sucker to champion. Quick play allows you to select any of 8 rooms with different tables and any game you'd like to play for a single match. Challenge your friends in a two-player session or play against one of the computer opponents. Turn on the training aids or leave them off. Let's say you're opponent isn't the monster player that you've worked so hard to become in Virtual Pool 4. Quick Play Mode also allows you to set or change the parameters of a match when playing weaker or stronger players. Depending on the game, you can adjust anything from points, games, or elected balls needed to win. If that's not enough, you can even adjust the pocket sizes and change the difficulty of the table itself. All Pool, Snooker, Billiard, and Pub Pool games are available in Quick Play Mode. Virtual Pool 4 allows you to record matches for playback at anytime including trick-shots, matches, a single game and even practice sessions. Watch from any angle of view and enjoy it all in amazing graphic detail. Store your matches and share your victories, trick-shots and other great moments with friends. For additional bragging rights, sharing clips and matches on Facebook is also possible. Anyone who owns Virtual Pool 4 will be able to sit back in awe at your performance. Become an artistic pool or billiards champion in Virtual Pool 4 with our library of over 140 trick shots. You can actually see how the cue ball reacts to different cue tip positions or stroke power. Easy to undo and shoot the shot again or change the setup. Master them all and even set up your own trick shots that you've learned from others. Replay shots in slow motion or from any angle of view. All of these moments can also be stored and shared with friends.